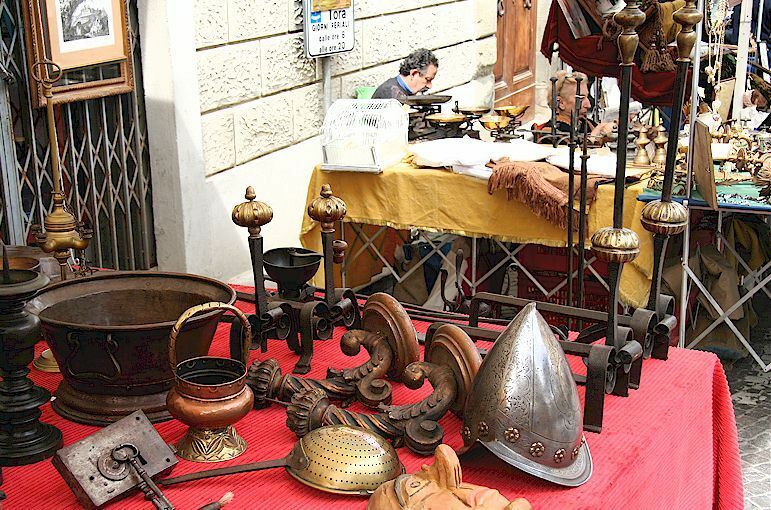 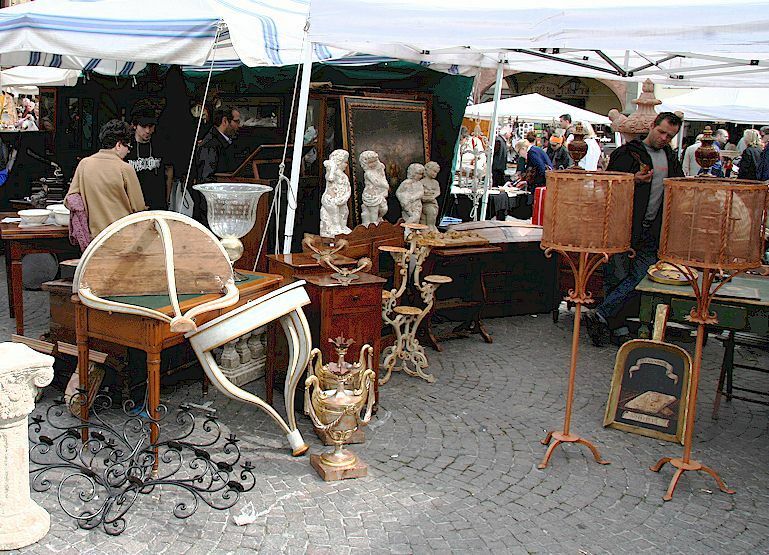 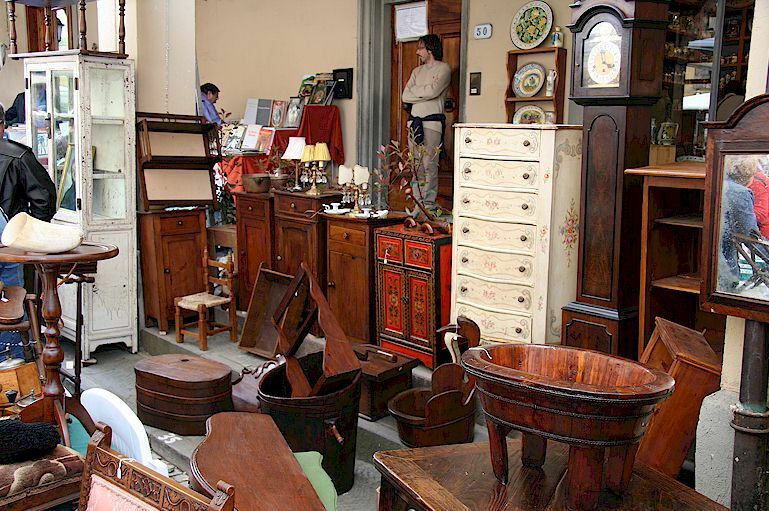 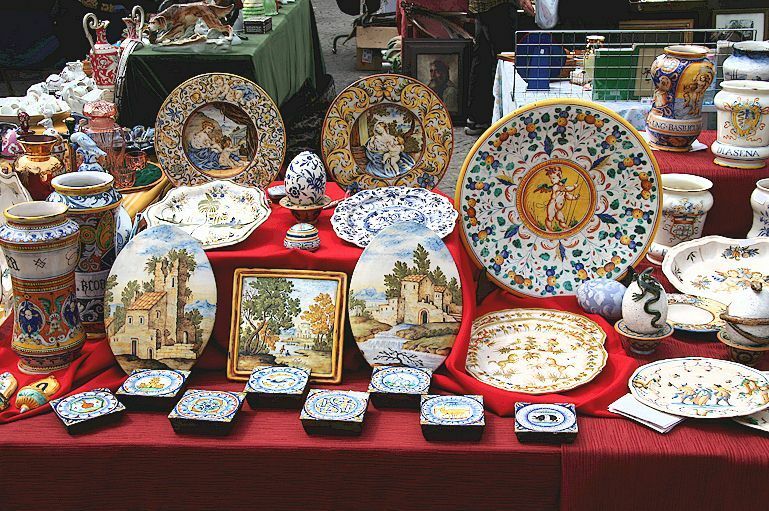 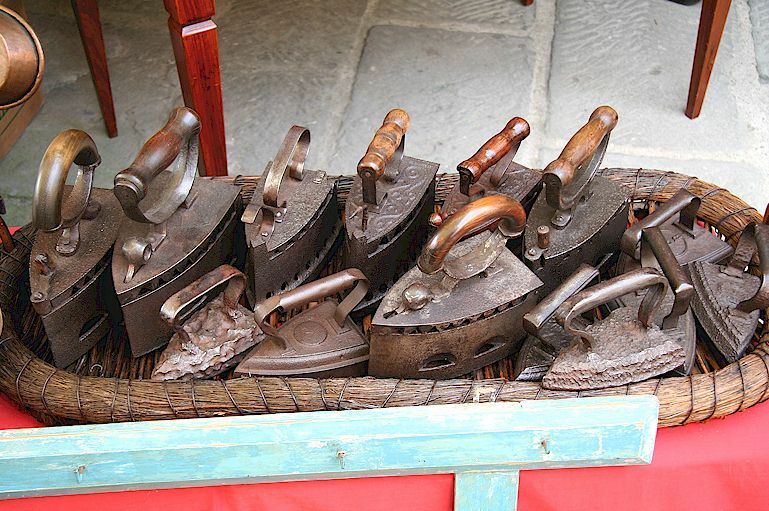 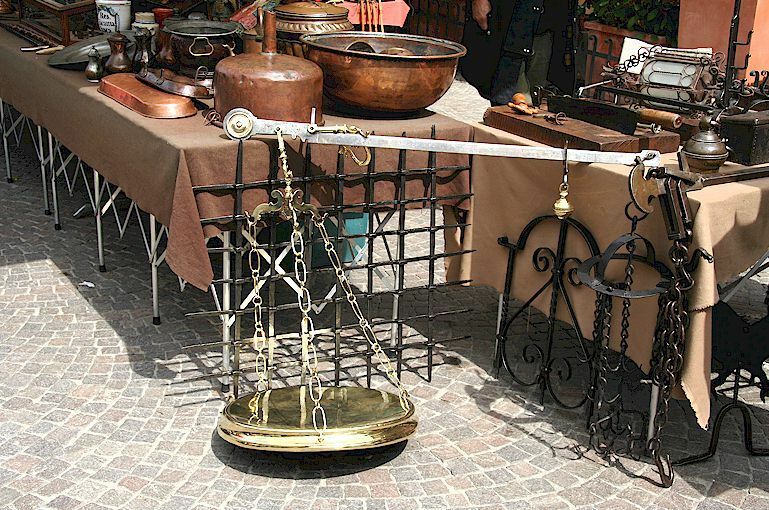 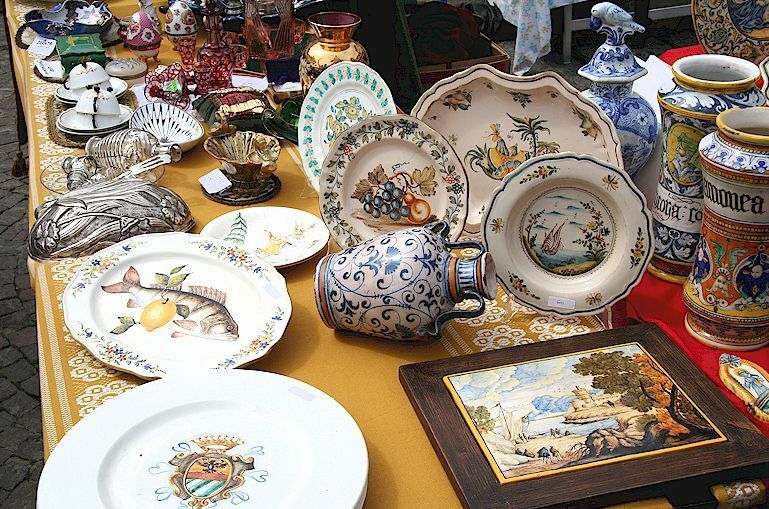 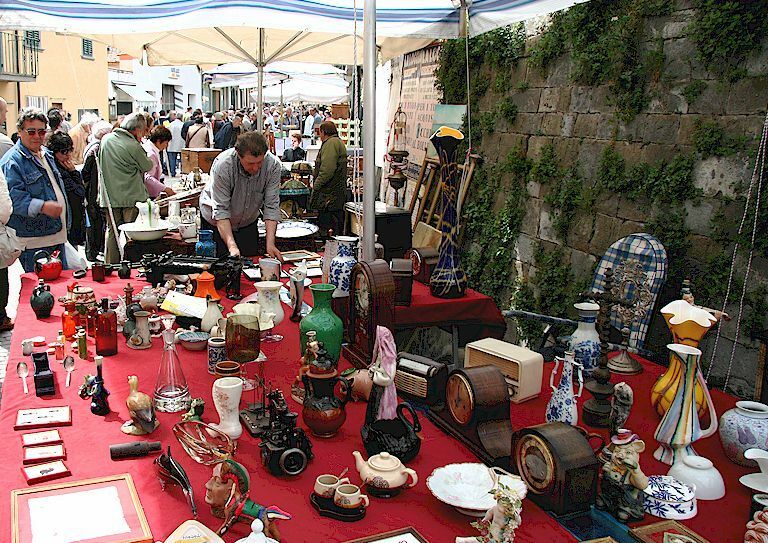 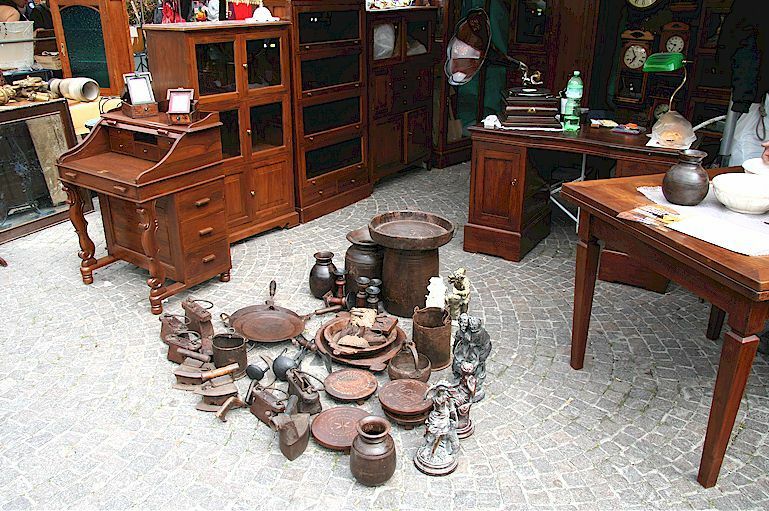 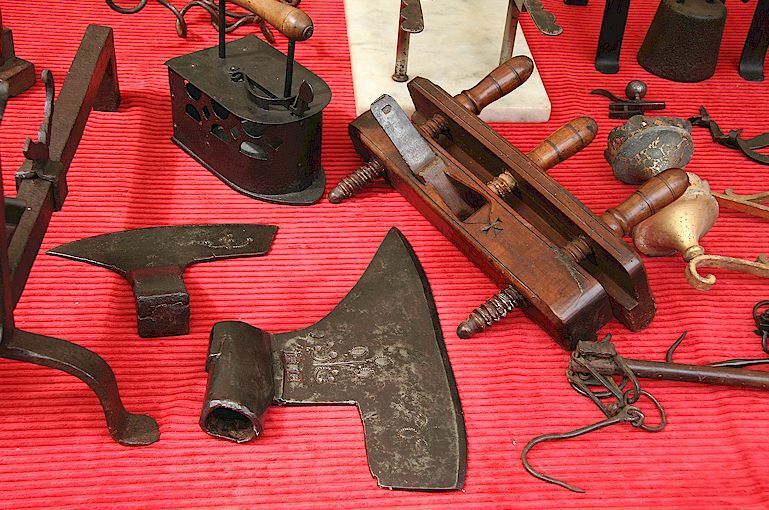 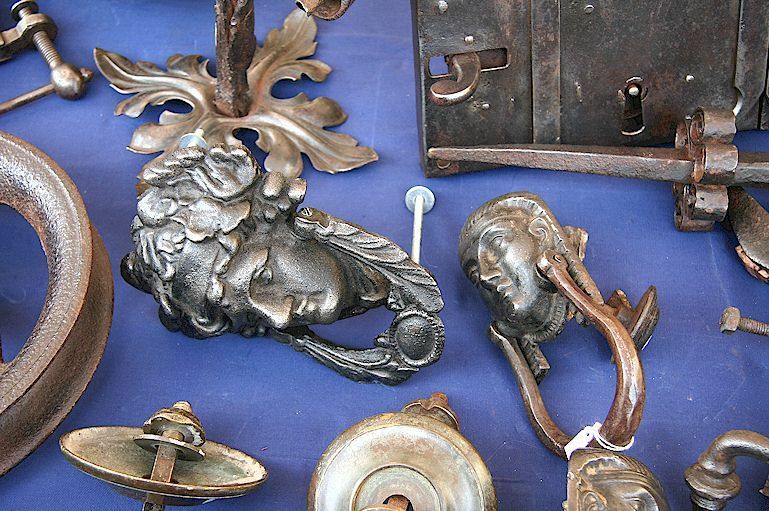 The annual antiquities fair held in Piazza Matteotti at Greve in Chianti on Easter Monday is now one of the better collectors' fairs in Italy. 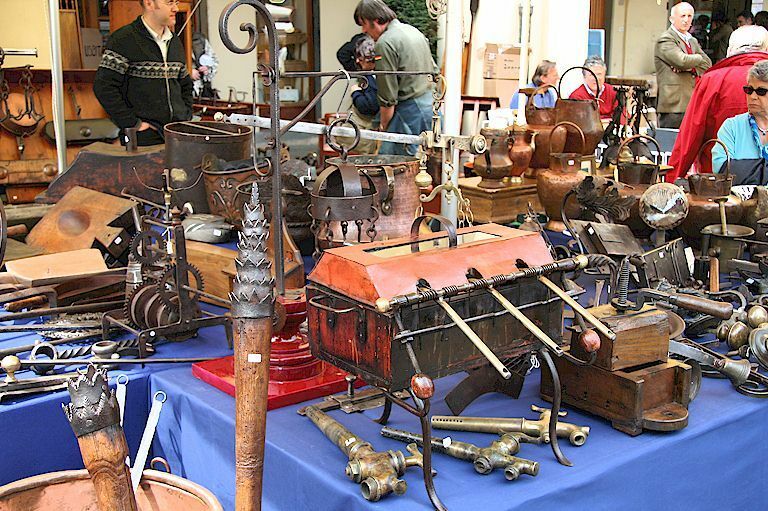 It went through a bad period in the late 90's with piles of brass buddhas and other tat filling the stalls, but for the past few years better licensing has meant a good offering of genuine antiques and very good copies (identified by the vendors as such, for the most part), plus bric-a-brac that yields the occasional treasure to the attentive antiques hunter. 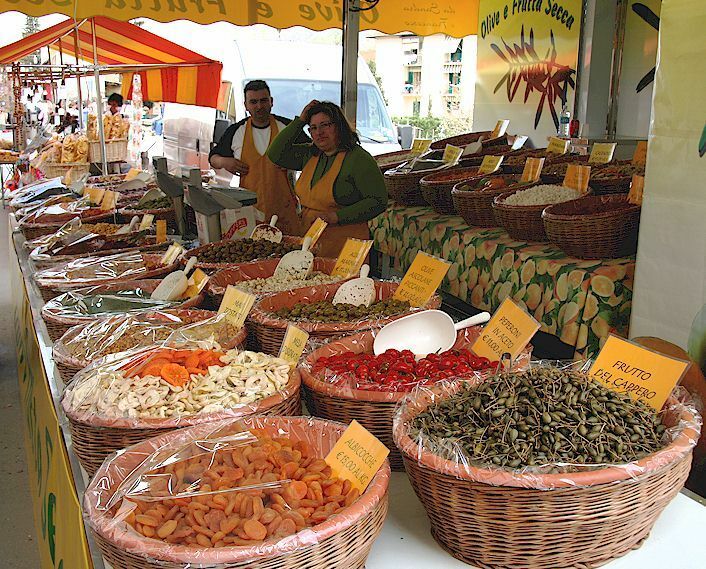 Bad weather remains an issue, especially if Easter is early in the year. 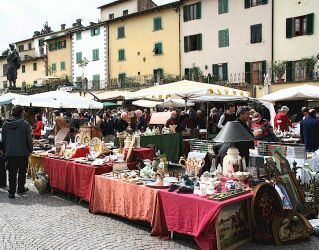 Among the main categories on display are old and reproduction rustic furniture (most of the antique pieces originating in Spain and sold as "Tuscan"), old tools, farmhouse and vineyard artifacts, ceramics, glassware and cutlery, a very good range of embroidered linen, iron work, paintings, postcards, not many books, silver gilt and much else. 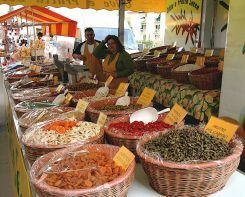 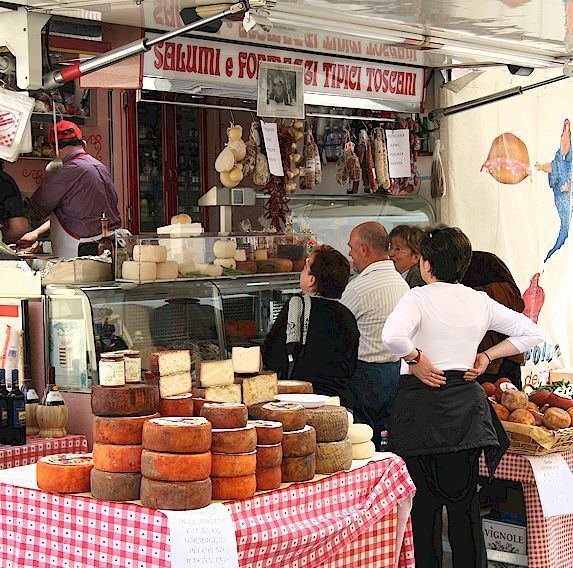 Along the street off the square, porchetta and other snacks are available, together with plenty of pecorino, dried fruit and sweets.